For many, April 1st brings an onslaught of pranks, practical jokes, and April Fools jests. I've never been one for that, but the beginning of April brings a little sing song from my childhood, "April showers bring May flowers". I love the new and renewing qualities of spring we see this time of year. It's that renewing theme that's perfect for the monthly blog challenge. If you've ever wondered why our monthly blog templates are "revisited" it's because Liz takes an older template, dusts it off, gives a few updates and a little spit polish and viola! We have a Template Revisited! Here it is: Template Revisited 46! CLICK HERE TO DOWNLOAD YOUR TEMPLATE! 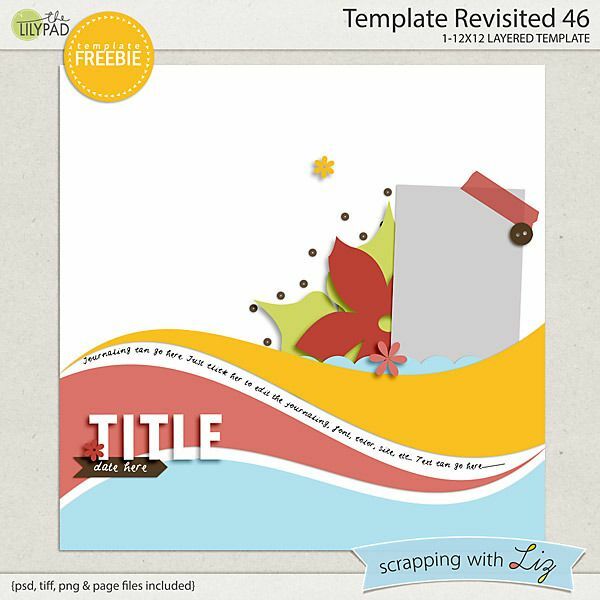 If you're new to our challenge or just need a little reminder, the monthly blog challenge is a really easy way to get a free template from Liz and chance to win $10 to her store. 1) Download the template above. 2) Scrap it! 3) Upload your layout to your favorite image sharing site. 4) Leave a link to your layout in the comments section. 5) Enter the rafflecopter drawing (link below) to be in our monthly drawing. See what I mean? Super easy. 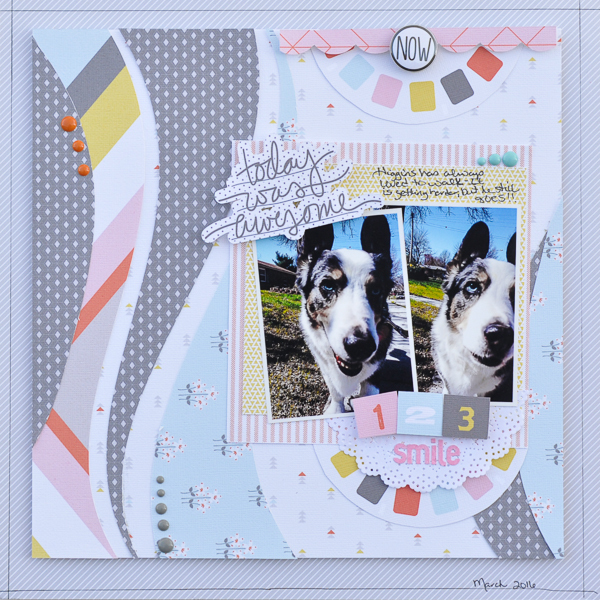 This month we have an extra special inspiration layout - we have a HYBRID layout! I absolutely love that Liz's templates convert to paper so wonderfully. Here are the team's digital layouts. Once you've finished yours, don't forget to enter the drawing! One random winner will receive $10 to Liz's store. Everyone else who plays along will receive a discount coupon. Finally, if you played along in March, you're likely anxious to find out if you're the lucky winner. Drumroll please. The $10 winner for March is..........Teri Merkins! Congratulations, Teri! I'll get coupons sent out within the next 10 days. If you didn't win, don't fret because you still will receive a discount coupon. That's all for me. I'll see you next month with the May challenge and another lucky winner. 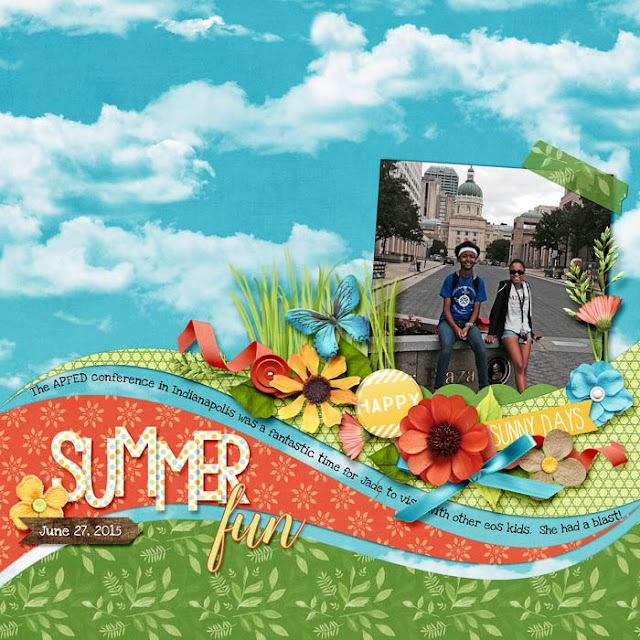 Use the featured template (above) to create a layout or hybrid project. Feel free to modify the template but make certain we can still recognize it as a version of the original. Upload your completed layout to a gallery or photo sharing site of your choice. 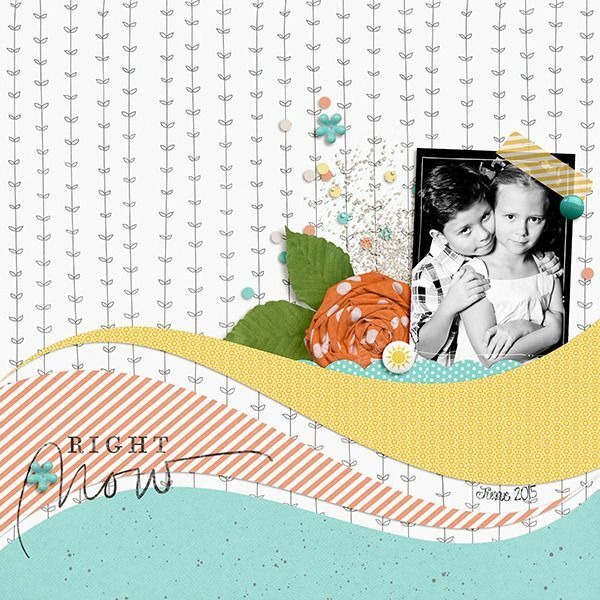 Come back to this blog post and leave a comment with a link to your completed layout by 11:59 pm (Pacific) on April 30, 2016 AND enter the Rafflecopter giveaway for your chance to win. Winners must provide a layout link in the comments section AND enter supply an email address in the Rafflecopter survey. We never share your information. Only those entrants who leave a link to their eligible layout in the comments section will be included in the drawing. All other entries will be disqualified. Winner of the $10 coupon will be chosen and announced the first Tuesday in Mayl 2016! Non-winning participants will receive a participation prize so remember to leave us a way to reach you when you link your layouts. Don't forget to watch your coupon expiration dates! Thank you so much for the cute template! I love this template! It just flows... Thank you!! yay!!! Thanks so much! I can't wait to play this month! I made art page. Thanks for the template! Thank you so much for the fantastic template!! Thank you for the template! I used a kit from KIMERIC KREATIONS with it! You can see it here. Thanks for the template! I love the waves. I didn't leave the right code. :( above. Sorry! here's the link to my completed layout!! Thanks for the freebie and the chance to win. Here is the link to my completed hybrid layout. Thanks very much for the freebie and the chance to win. Here's mine. Thank you for the template. Great template! It came together so quickly! Another wonderful template - Thanks! I thought I had entered since I used the template for a kit by Danyale, but I see from the list I didn't so I made another one. It such a great template. Life is An Adventure Blog Hop! 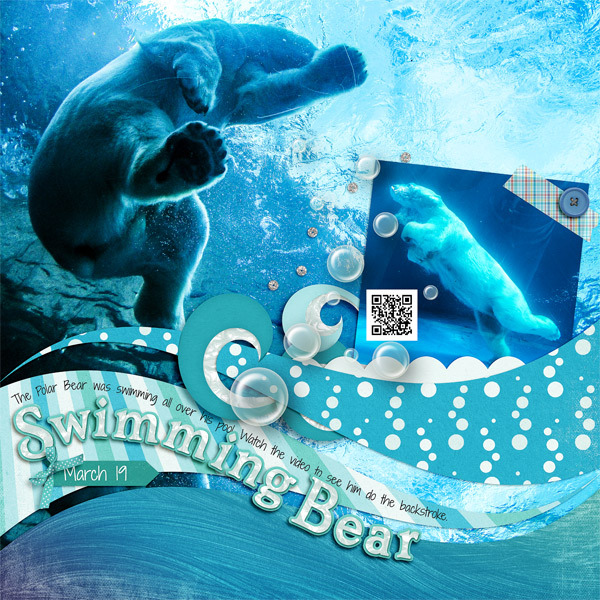 NEW Artsy Journal Templates 11 and 12 - 20% OFF!